Have you ever tried an avocado milkshake? Avocado (also called butter fruit) is used in salads or eaten as is with a sprinkling of sugar. Some of you might have also tried guacamole (avocado dip). I learnt about this simple milkshake recipe from a friend who tasted the avocado milkshake during her visit abroad and now it's a regular item on her menu. 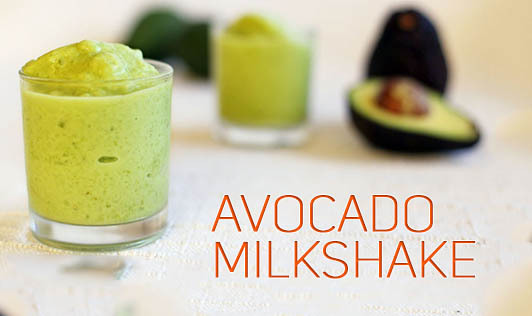 All you need for this milkshake is ripe avocado, skimmed milk and honey. You can substitute honey with jaggery if you wish. Blenderise all the ingredients to the consistency that you require and drink it with or without ice. A healthy beverage which can be consumed in the evening if you're hungry. Try the shake and share your thoughts with the readers!